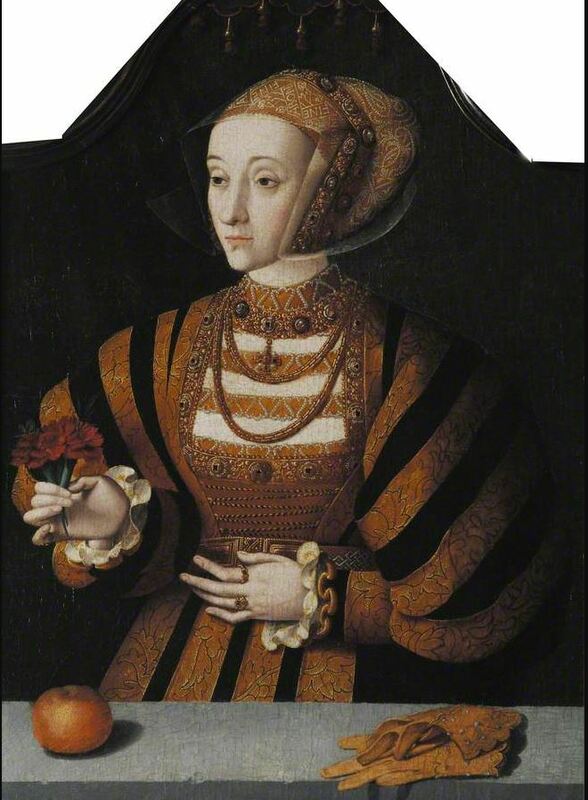 I am going full Cleves all the time 🙂 Ever since I read Anne of Cleves by Mary Saaler I have wanted to make all the outfits described as hers. I haven’t hit a jackpot in terms of a list of her wardrobe before she left for England but Hall cronicles her appearance enough. And I have gone and read a digitised reprint and it seems to ring true. 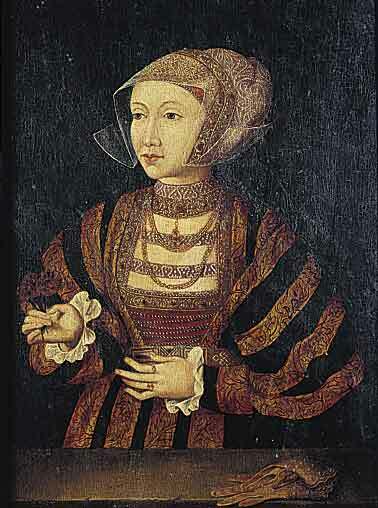 But before all that I am trying to make a hat seen in my favourite protrait of her. This was sold in London in 1930 and disappeared until The Rosenbach recently revealed that they had this portrait, https://rosenbach.org/blog/long-lost-triplets/ (Please note I have tried to adjust the perspective). This shows a gold coloured baret over a gold covered stickelsche with pearlwork (the colours can be identified in the Rosenback photos while the details can be seen in the copy from Saaler. 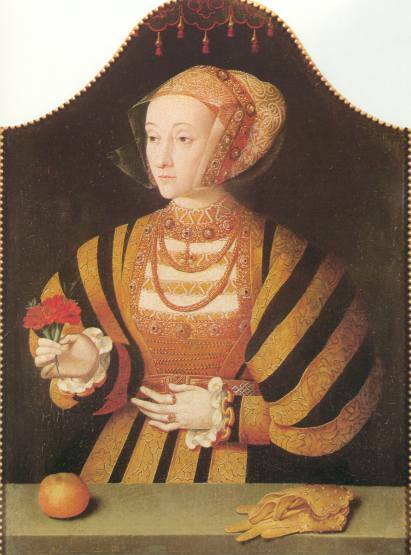 The St John’s Portrait is the one that is was X-rayed and discovered that her nose was originally painted longer. Of course historians have take that to mean he nose was made smaller to flatter. I believe it to simply have been a mistake. The Rosenbach portrait is clearly the most sensitively and deftly painted of all these portraits. There are a few files of the St John’s portrait that are of different contrast levels. However I do believe this to be a different copy. It is clearly different based on the fall of the shadows of the fruit and the gloves. The tacks around the edges of the painting are not in the same position as the St John’s painting either. Most files are now over at: http://www.kleio.org/ except this portrait. So I do not know the provenance. 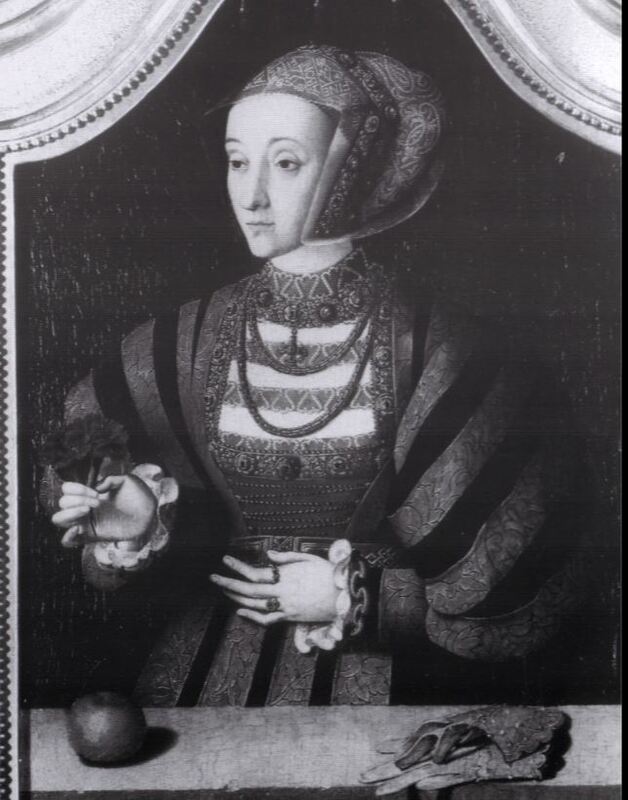 This is from a photograph at the Witt Library and is part of an article in Burlington Magazine, “A Portrait of Anne of Cleves” March 1992, issue 134 pages 172-175. This is the only copy that keeps the three rows of brocade of the skirt- the majority of skirts of this region overlap so the three rows make sense in this light. 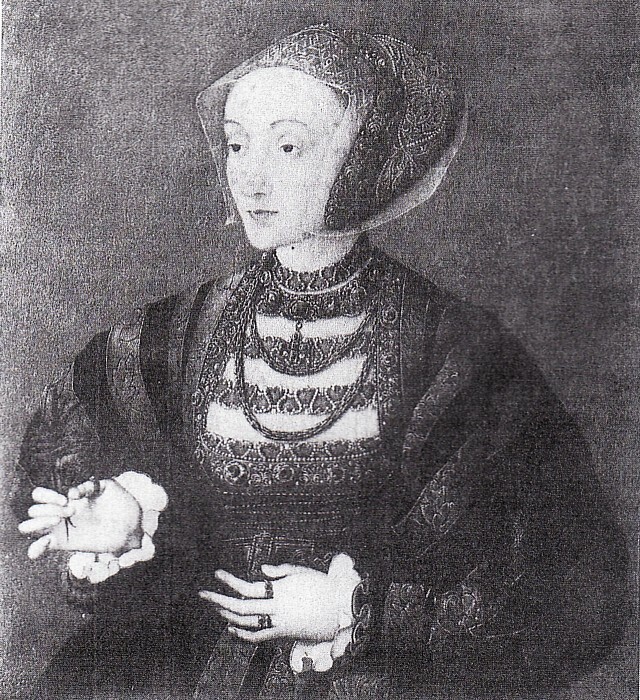 So that is five copies of this portrait from close to her time in England- though in absolutely classic dress from her home. The mix of Dutch and Saxon styles is particularly clear.